I can’t imagine anything in life that changes you quite like the momentous event of becoming a parent. Before Charlie was born, I was fully aware that my life was on the verge of being forever altered, but nothing could have prepared me for the challenges—and the joys—that were to come! The moment he breathed his first breath, my world was inexorably changed. Suddenly, it was as though my very soul was living on the outside of me, within this tiny human who would singlehandedly transform my entire perspective on life, not to mention every aspect of my physical and emotional being. 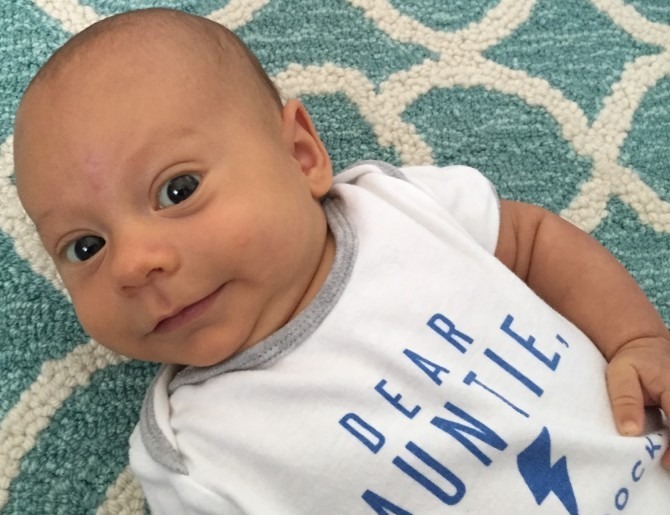 If you’ve read my blog, follow me on social media, or simply made small talk with me at the grocery store within the last three months, it’s abundantly obvious that I am head-over-heels in love with my son. And it’s not just Charlie that’s captured my heart, it’s the role of motherhood as well. Being Charlie’s mommy is the most rewarding and fulfilling job I’ve ever held, and I could write volumes (and practically have) about how much I adore being a mom to my precious little guy. But something I haven’t written much about is the less glamorous side of becoming a mom. 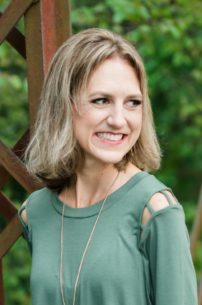 There are reasons for my silence on the harder aspects of mommyhood: for one thing, they simply aren’t as fun to write about. I also don’t want to appear ungrateful for this chance at motherhood, nor do I want to give the impression that I resent my son (nothing could be further from the truth!). Perhaps the biggest reason for my reticence is that I don’t feel like I have earned the “right” to complain about, or even address, the rigors of life with a newborn because I’ve had it so easy! My labor and recovery could not have gone more smoothly . . . I didn’t have any postpartum depression or breastfeeding difficulties . . . I have a hands-on husband and a good support system . . . my baby is healthy and relatively “easy”. . . and I don’t have to worry about balancing parenthood with a return to work. I couldn’t ask for more, and I recognize that I am beyond blessed. But I’d be lying if I said it was all sunshine and unicorns over here. My goal with this blog is to write with the same level of transparency and honesty that I would expect from others. So, I will admit it: becoming a mom has been HARD, and my new career as a parent is the most demanding, challenging, and sometimes heartbreaking role I’ve ever held. I’m sure that one day—probably when I’m parenting a toddler, or juggling more than one child or, heaven help me, navigating life with a teenager—I will look back and chuckle at the things I now consider tough, but for me, right now, it’s hard to imagine a more difficult job. Nobody is ever really ready for motherhood, but I feel like I was particularly caught off guard. In the weeks leading up to Christmas, Luke and I hustled to get everything ready for Charlie’s arrival: we set up the nursery, organized dresser drawers, and read as many books on labor and parenting as our brains could handle. Our goal was to get all of our nesting done ahead of time so that I could spend the last couple of weeks resting up and getting mentally and emotionally prepared for the changes ahead. I envisioned a blissful couple of weeks spent cooking freezable meals, queueing up some blog posts, starting Charlie’s baby book, preaddressing birth announcements, and—most importantly—sleeping late every morning. Then, Charlie decided to make an early appearance (and I was given my first lesson in in the futility of imposing my own timeline and expectations on my baby!). Though I wouldn’t trade those extra weeks with Charlie for ANYTHING, his early arrival meant that I didn’t get my anticipated time of rest, rejuvenation, and tying up of loose ends, and I feel like I’ve been (unsuccessfully) working to play catch-up since his birth. I had trouble finding time for household projects BEFORE Charlie was born, but trying to tackle them now, while also meeting the needs of a newborn, is next to impossible, and I’m struggling with this newfound realization that my time is no longer my own. There have been other challenges as well. Simple things like running to the grocery store are so much more complicated with a baby, and even the most routine tasks require a tremendous amount of planning and baby gear. There is such a steep learning curve, and I’m constantly reevaluating what works for us and what doesn’t. Then, just when I feel like I’ve gotten Charlie’s habits or quirks figured out, they change! Breastfeeding has brought its fair share of challenges, and not the the type that I expected! We never had any issues with latch or inadequate supply; if anything, I have an oversupply of milk (which poses its own share of issues). But I’ve had a surprisingly hard time dealing with the pesky inconveniences of breastfeeding, like leaky breasts and limited wardrobe options. It’s also hard to be constantly tied to Charlie’s feeding schedule: I can’t be away from him for more than a couple of hours, and even when I pump a bottle for him, I find it too uncomfortable (and messy) for ME when I go very long between feedings. He also seems to want to eat at the least convenient times, like whenever I sit down to a meal, or just as I’m lying down for a much-needed nap. I really do love breastfeeding and feel so fortunate that it’s worked out well for us, but it’s definitely taxing! Then there are the emotionally trying aspects of parenting. I’m constantly worrying: is he warm enough? Is he too hot? Is he eating/sleeping/pooping enough? Or maybe too much?! How does he seem to be doing compared to other babies? Why won’t he stop crying, what am I doing wrong?! Since Charlie was so small at birth we’ve had to go to the pediatrician for regular weight checks, which are always riddled with anxiety. We’ve also been monitoring his bilirubin levels since birth, and it kills me to watch him scream as he’s stuck with needles and his blood is drawn. Having a baby reminds me of how little in this world I can control, and how I need to pass my anxieties onto God on a daily hourly basis—something that is much more easily said than done! 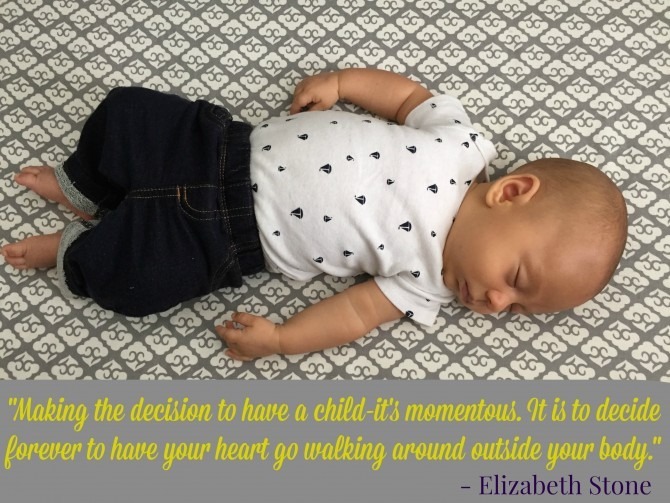 I had not anticipated the growing pains I would experience with motherhood: as much as I love seeing every new development and milestone in my baby, each one represents a small loss as we move out of one stage and onto the next. I cried when I boxed up Charlie’s newborn clothes last week because it felt like the end of an era. I am loving this not-quite-newborn stage, but I also miss my snuggly, fresh-from-the-womb baby boy! He is growing up WAY too quickly, and it’s been surprisingly hard on me. Without a doubt, the most difficult part of this journey has been the lack of sleep. Charlie is nowhere near the point of sleeping through the night, and though we’ve had a couple of 3-hour stretches, he’s usually up and wanting to eat every two hours. 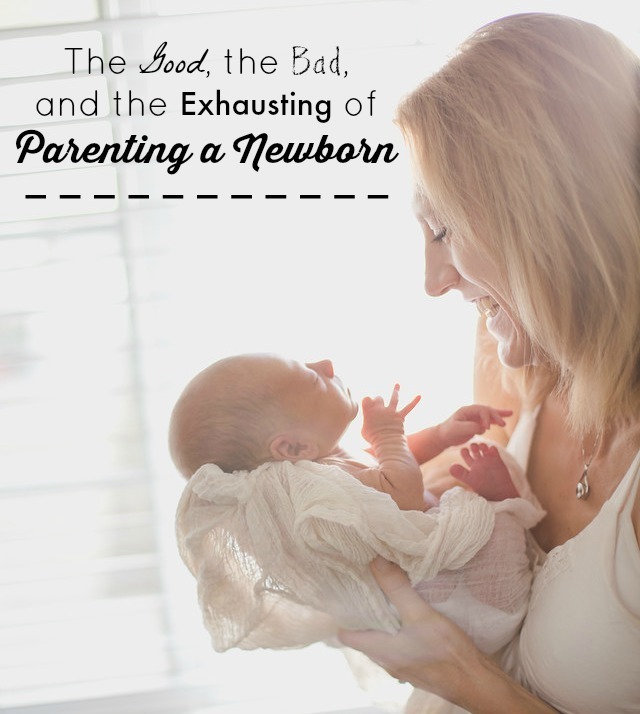 A few weeks ago, a friend and I were discussing the many things that someone doesn’t really “get” unless they, too, have experienced life with a newborn. High on our list was an appreciation for the mind-numbing exhaustion that accompanies new motherhood. Never in my life has rest been so enticing, but felt so attainable. I know that some day soon, I WILL sleep again, but these days I feel like I’m walking through life like a living zombie. As much as I’d love to be a super mom who does it all, I’m slowly coming to terms with the fact that for me, at least, it’s an unattainable goal. Now, after trying to do it all and failing, I’m giving myself a break by making (for lack of a better term) concessions for myself; and those look different every day. Some nights, it’s accepting Luke’s offer to do the dishes after dinner. Last month, it was giving myself permission to start sleeping in with Charlie in the mornings instead of getting up with Luke at 5:00 to make breakfast. At other times it has meant accepting some outside help: from my mom, who watched Charlie for a few hours one morning while I went to Target, and my mother-in-law, who soothed Charlie during a family dinner so I could enjoy my meal in peace. Last week, “cutting myself some slack” took the form of a spontaneous and unexpected week-long “spring break” from blogging while I recovered from an exhausting weekend with a sick baby. Most importantly, it has meant accepting that none of these compromises makes me an inadequate mom (or, for that matter, an inferior wife or daughter or blogger). When all is said and done, the hardships of life with a newborn cannot remotely compete with the joy my son has brought me. One grin from that precious little face, and I know that every sacrifice, inconvenience, and worry is 100% worth it! Never before have I known such love, and I am grateful for the hardships because they mean that I get to experience this amazing new life as Charlie’s mom!